The real conversation around women has only just begun. So you ask... who should I be watching, listening to and reading right now? As a coach specializing in Executive Leadership, Personal Branding and Positive Psychology, I've compiled a list of women who embody these three disciplines and are exercising them in profoundly impactful ways. Within this talented group, there are thought leaders, entrepreneurs, podcasters, networkers, educators, speakers, authors, and philanthropists. Here are 15 incredible women to watch. Be sure to keep your eyes on them! When I first embraced Twitter, I asked a social media expert / friend, "Who's doing it right?" Without hesitation, she replied, "DKNY PR GIRL®." ​In case you weren't aware, in 2011 it was revealed that DKNY PR GIRL® is Aliza Licht. And Aliza Licht is the senior vice president of global communications for Donna Karan International. Aliza uses her Twitter account to share juicy, insider news on fashion and celebrity. Since 2009 she has built a loyal community of over 520,000 followers -- or as she likes to call them “Twitter friends.” Needless to say, she has created a powerful social media voice in the fashion world. Aliza has been named one of the “Top 50 Most Powerful Women in New York” and is soon releasing her first book Leave Your Mark in which she shares invaluable lessons and insights gathered during her career journey which she describes as “anything but a smooth ride." 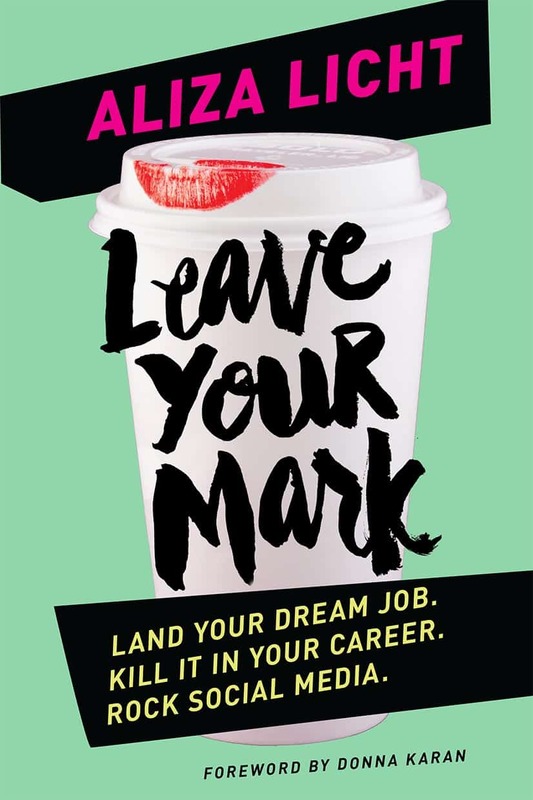 In addition, Leave Your Mark offers advice, inspiration, and a healthy dose of real talk. As if Aliza hasn't been busy enough, she was recently featured in The New York Times article Who Will Be America's Next Top Mentor? alongside the likes of Tim Gunn, Diane von Furstenberg and Sophia Amoruso. Personal Brand Summary: Sincere. Witty. Likeable. 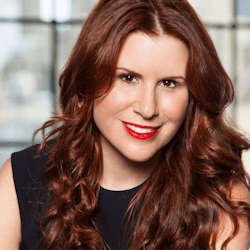 You have to be interested to be interesting.
. @AlizaLicht profiled in Cara Power's "15 Women To Watch"
In my ongoing search for content that is both compelling and authentic, I was excited when I stumbled upon an Authors@Google talk featuring Dorie Clark. And this talk led to the purchase of her first book Reinventing You. 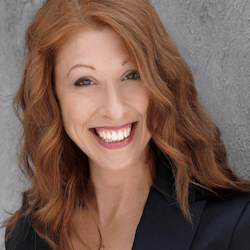 ​I eventually met Dorie in person at last year’s ConnectorCon where she was an expert panelist on the topic of personal branding. What really stands out for me about Dorie is that she is unwavering in her belief that authenticity is the key component to a distinct and successful personal brand. 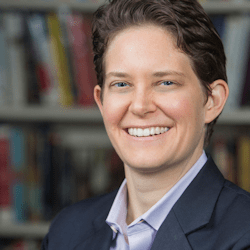 ​In addition to being a professional speaker and author of two books, Dorie is a marketing strategy consultant and frequent contributor to the Harvard Business Review, Forbes, Entrepreneur and the World Economic Forum blog. She also teaches for Duke University's Fuqua School of Business. 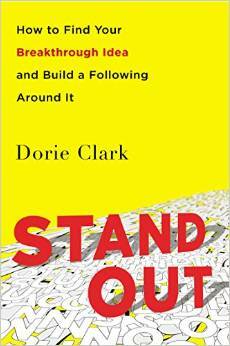 This year, Dorie releases a new book -- Stand Out: How to Find Your Breakthrough Idea and Build a Following Around It. Stand Out is a guide to becoming a recognized expert in your field and addresses such challenging questions as: Where do exceptional ideas come from and how do they get noticed? ​Personal Brand Summary: Authentic. Intelligent. Fun. If you're an introvert, put yourself in control of networking situations by hosting small events. You choose the attendees and set the tone, so you can ensure it's fun and enjoyable.
. @DorieClark profiled in Cara Power's "15 Women To Watch"
Deborah Goldstein has founded not one but two companies designed to help busy, urban professionals make the most of their careers; Goldie’s Table Matters (GTM) and the Women’s Advancement Compact (WAC). GTM helps professionals maximize networking and business development opportunities via what she calls strategic dining. Deborah believes a meal can be an appetizer to serious business and she's shared this belief with the masses on Bloomberg Television's Bloomberg Surveillance discussing How to Survive an Interview Over a Meal. Women's Advancement Compact offers cross-industry networking opportunities and ongoing professional development tailored to (but not exclusive to) female sensibilities. WAC addresses women's issues holistically and supports members in leading richer lives. In addition to WAC's extensive live programming, it has recently launched a virtual platform offering education and training through webinars, online learning and more. ​Personal Brand Summary: Be a fountain (not a drain). Allergic to late. Empathetic ear.
. @WomensAC profiled in Cara Power's "15 Women To Watch"
It is estimated that close to 40 million people listen to at least one podcast every month. I'm definitely one of the 40 million but my monthly average is much, much higher. One podcast that caught my attention recently was Ashley Milne-Tyte's The Broad Experience. Ashley's popular show has recently been profiled in SUCCESS and Fortune magazines as one of the best in its class. The Broad Experience helps women gain an edge and achieve greater success in the workplace. Ashley boldly addresses such controversial topics as gender and racial equality intelligently and with finesse. ​Personal Brand Summary: Thoughtful. Intelligent. Insightful. ​It may seem counter-intuitive, but at a networking event where you walk in alone, instead of approaching one other lone person, approach a group of two instead. You don't have to bust up their conversation - wait till the right moment and just introduce yourself. I did a show called 'The Hell of Networking' -- that's where I picked up that and a lot of other good tips.
. @AshleyMilneTyte profiled in Cara Power's "15 Women To Watch"
What do Madonna, Martha Stewart, John Lennon, Ellen DeGeneres, Ben Franklin, Ronald Reagan, Leonardo da Vinci, Thomas Edison, and Johnny Cash have in common? 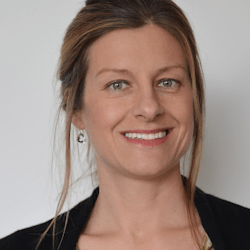 According to Paula Rizzo …they are all list makers! Paula is an Emmy award-winning TV Producer who is wholeheartedly obsessed with lists. 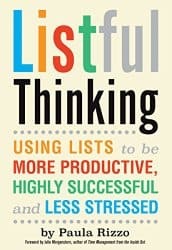 Her blog at ListProducer.com turned into her first book, Listful Thinking: Using Lists to be More Productive, Highly Successful and Less Stressed. Listful Thinking helps readers get their lives back by offering indispensable advice and tips on saving time, getting organized, improving productivity, saving money, and reducing stress. ​Personal Brand Summary: Productive. Efficient. Organized. ​Just show up! You never know who you might meet and where it might lead. At the very least you get a free glass of wine.
. @ListProducer profiled in Cara Power's "15 Women To Watch in"
Download my Networking Cheat Sheet. Jan Mercer Dahms wants you to stop. Right now. Okay? Now pick that idea that's been marinating in your mind – the one that brings a smile to your face – and turn it into a reality. Oh... and she wants you to start today! Life is short. Jan is the Founder of 6-Figures -- an invite-only networking group for highly-accomplished, affluent women. The group’s mission is to revolutionize the way in which professional women network by opening doors, creating opportunities, and closing deals. Diversity is 6-Figures' strength -- its members span industries, job functions, and company sizes and despite being globally-positioned, 6-Figures truly maintains a community spirit. This year, 6-Figures is launching a new membership package and will continue to expand into other major US markets. Jan is also Managing Director for Plum Alley -- a crowdfunding company for female entrepreneurs. 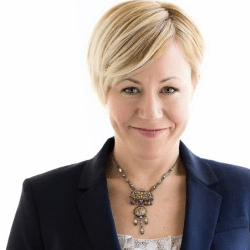 She speaks extensively about women's access to capital and how crowdfunding can spur innovation and job growth. ​Personal Brand Summary: Passionate. Fun. Energetic. ​Pause when first entering a room full of people you don't know. Take a look around and sense the energy. Gravitate toward those individuals that make you instinctively feel happy and at ease. Hint -- look for those that are SMILING and LAUGHING! 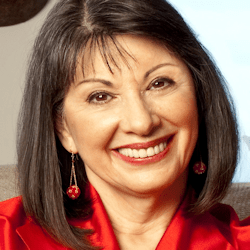 Jan Mercer Dahms profiled in Cara Power's "15 Women To Watch"
Gloria Feldt is undeniably one of the top women’s empowerment crusaders in America. 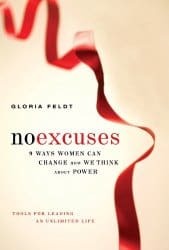 She is the author of No Excuses: 9 Ways Women Can Change How We Think About Power which has been described as "chicken soup for the leader-lady's soul" and is the co-founder and President of Take The Lead -- a non-profit organization whose bold mission is to prepare, develop, inspire and propel women to take their fair and equal share of leadership positions across all sectors by 2025. Take The Lead's live-streamed launch event in early 2014 featured such inspiring speakers as Carla Harris and Sheryl Sandberg. This year, Take the Lead will continue to move its mission forward by establishing local chapters and offering online courses and Train-the-Trainer programs. ​Personal Brand Summary: Courageous. Practical visionary. Inspiring. ​Ask for it by name.
. @TakeLeadWomen profiled in Cara Power's "15 Women To Watch"
Joya inhabits three avatars. 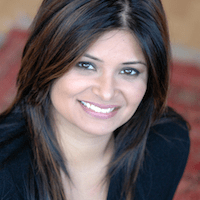 She is a NY1 television news anchor, a documentary filmmaker and co-founder of a women's networking initiative called LadyDrinks that champions South Asian female entrepreneurs and women in corporate management. In 2015, LadyDrinks will host educational events modeled after popular TV shows such as America's Got Talent, Shark Tank and The Voice. Business owners will present their talents to an accredited panel of judges and the panel will offer real-time feedback in front of a live audience. ​Personal Brand Summary: Bold. Consistent. Hardworking. Ambitious. Elegant. ​Give, give, give. Once you make a contact, nurture that relationship by sharing an article on something they may have mentioned in conversation with you. Or referring a coach or contact that may help them with something they or their business currently need. Networking has to be a two way street. When you ask someone for a favor, they will be more inclined if you too have invested in the relationship.
. @LadyDrinks profiled in Cara Power's "15 Women To Watch"
Liz is a global connector. 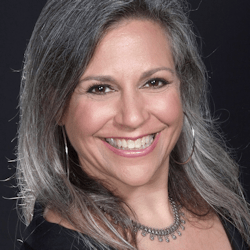 As Afrika Tikkun USA's CEO she connects people, ideas, cultures, continents, organizations and technologies to grow Afrika Tikkun's brand presence as the leading and most supported next-generation non-profit serving Southern Africa. This year, Liz plans to leverage Afrika Tikkun’s strong reputation here in the US and partner with proven social change innovators. As a recognized international authority in philanthropy and entrepreneurship, Liz is a frequent public speaker. She has spoken at the International Fundraising Congress, WIE Symposium Nigeria and delivered an inspiring TEDx Talk at Cornell University titled Want your enterprise to change the world? Start with yourself!. ​Personal Brand Summary: Bold. Creative. Innovative. 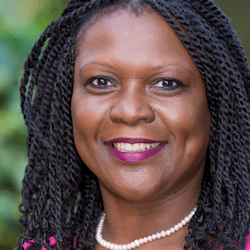 ​Focus on helping others accomplish what they want before asking for anything.
. @LizNgonzi profiled in Cara Power's "15 Women To Watch"
Jenny believes "Your network is your net worth". Tired of traditional networking events, Jenny envisioned a space where professional women could connect, collaborate and truly celebrate one another's success. This led to the birth of Running With Heels. Running With Heels hosts a variety of live events for professional women ranging from Jenny's innovative, signature dinner parties (where guests are matched with different companions during each course!) to facilitated power lunches, exclusive soft-skill training, group fitness workouts and intimate tours of some of the New York’s most celebrated landmarks. Jenny is an advocate of purposeful living as evidenced by her TEDx talk What If You Lived Your Life On Purpose. She also writes a monthly column for Dailyworth.com. 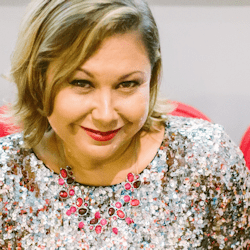 This year, Jenny's priorities include launching a weekly interview-style podcast for and about women entrepreneurs as well as developing, producing and hosting an all-day women's conference. ​Personal Brand Summary: Passionate. Purposeful. Fun. 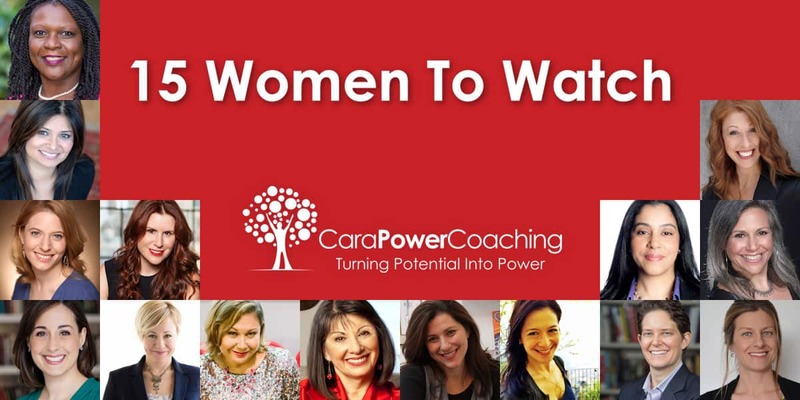 ​Networking is about building relationships not building your business.
. @HeelsAndSpiels profiled in Cara Power's "15 Women To Watch"
Watch my Networking No-Nos video. 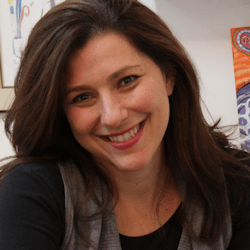 Carrie Kerpen is a self-described (Non)trepreneur. Her path to (non)entrepreneurship was atypical and rode on the wild success of her sponsor-funded, baseball stadium wedding ceremony to husband and Likeable Media co-founder, Dave. Read about that story here. Likeable Media has been recognized as NYC's 16th Best Place To Work (Crains). The company is also a two-time Inc. 500 winner and has been named one of the Top 50 Fastest-Growing Women-Owned Businesses. 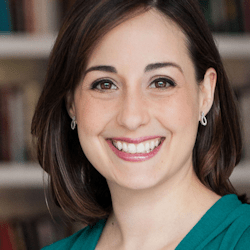 Carrie regularly writes for Inc. and Forbes and produces the weekly podcast All The Social Ladies profiling successful female leaders and how they use social media personally and professionally. ​Personal Brand Summary: Passionate. Transparent. Energizing. ​Even though I work in and love social media, people can often hide behind it because of fear of meeting in person. In truth, face-to-face is the best way to grow any relationship.
. @CarrieKerpen profiled in Cara Power's "15 Women To Watch"
In her own career, Terri is the charismatic host of Solopreneur -- a highly-acclaimed podcast which offers much-needed guidance, support and advice to the millions of people who now work for themselves. On the love front, Terri teaches an online workshop called Stop Hating. Start Dating! which helps students manage negativity, handle rejection and generally change the way they view dating. Terri also writes a regular column for DailyWorth which you can hear her narrate... here. ​Personal Brand Summary: Energizing. Empowering. Entertaining. ​Go in curious about what other people do and how you might be able to help them. Rather than, "Hmm, what am I gonna get out of this?"
. 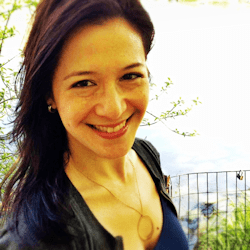 @TerriT profiled in Cara Power's "15 Women To Watch"
Want to succeed in business? Take an improv class. “Yes, and”. “Yes, and”. “Yes, and”. You hear this fragment repeated constantly during Taren Sterry’s improv-based public speaking class in New York City. And there is good reason for it. The words ‘Yes, and’ allow for creation and/or building of conversation, while ‘no’ squelches or suffocates it. As a leadership coach, I quickly realized -- under Taren’s expert tutelage -- that not only does improv training improve focus and the ever-elusive "being present", but it also enhances communication in professional situations including team collaboration, influencing others and crisis management. 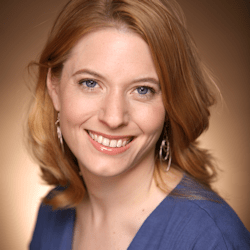 Taren’s blog Improv On The Job helps readers discover how to make work feel like play. ​Personal Brand Summary: Transformational. Creative. YES. ​There is no such thing as competition. You just haven't figured out how to work together yet.
. @TarenSterry profiled in Cara Power's "15 Women To Watch"
Yesi is the founder of Proud to Be Latina (PTBL), a professional and personal development network that educates, encourages and empowers Hispanic women to achieve their full potential. If that weren't enough, Yesi is also an executive at one of the world’s leading financial institutions and is working towards earning a Doctorate degree in Educational Leadership. Yesi has been profiled in the Huffington Post's Latino Voices. 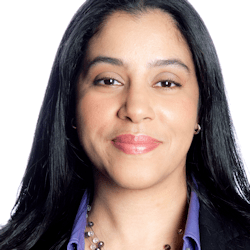 Yesi’s focus for PTBL in 2015 is to empower the next generation of Latina executives via a robust platform that offers women an opportunity to learn, grow and rise! ​Personal Brand Summary: Bold. Professional. Powerful. ​Go to events alone, so you're not sticking solely with the person you arrived with.
. @PTBLatina profiled in Cara Power's "15 Women To Watch"
Being an introvert myself, Laura Vanderkam's heartfelt New York Times article Introvert at the Podium resonated so much with me that I enrolled in an improv-based public speaking class. 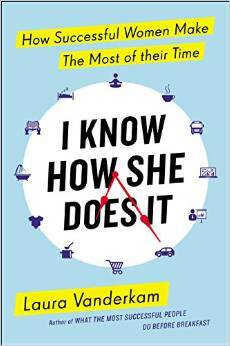 Her new book, I Know How She Does It: How Successful Women Make The Most Of Their Time is based on time diaries from 1001 days in the lives of professional women and their families. It spotlights how people who have it all... make life work. ​The more you get up in front of people, the better you are at it. In the last five years, I’ve given so many speeches that it no longer feels nerve-racking. It just feels like Tuesday. Excerpt from "Introvert At The Podium"
. @LVanderkam profiled in Cara Power's "15 Women To Watch"
Leave your details below and I'll let you know as soon as I publish the next one! Leave your email below and I'll drop you a note when I publish the next one!